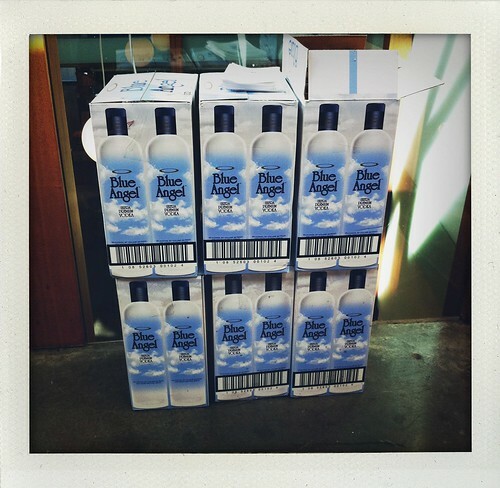 How these cases of vodka survived an event at work is beyond me. I mean, they're still FULL!! Unused vodka is the saddest thing I can imagine, and I've been to a Wal-Mart in the Midwest. So I know.